the series. 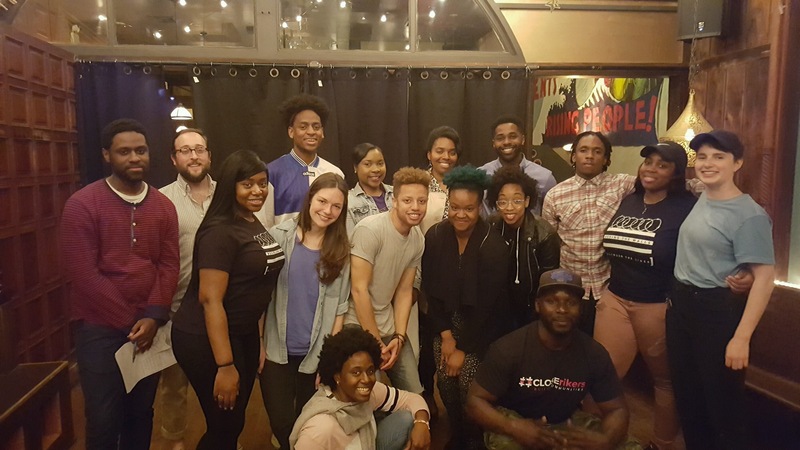 was created to provide a safe space for participants to process topics being unpacked and learn how to use spoken word as a tool of personal expression and empowerment. What happened on Tuesday, May 16th was more than I could have anticipated. 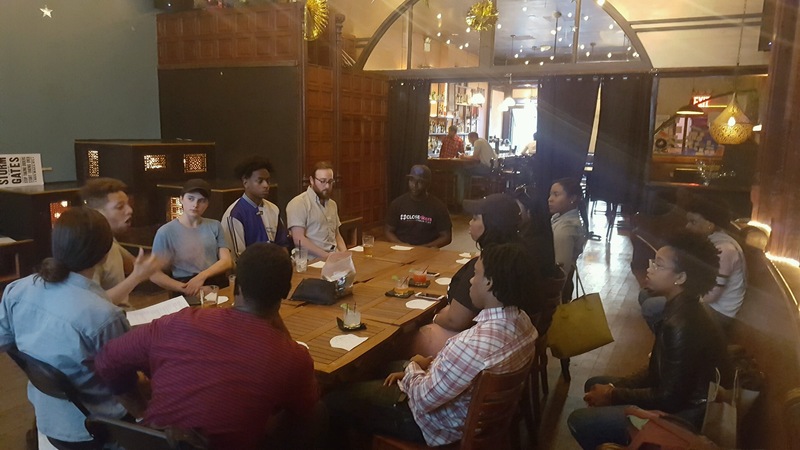 15 participants from around the city gathered and agreed to participate in a workshop. They had no idea what to expect but were generous enough to lend themselves to the process. I was surprised by the transparency in the room. How these strangers were so gentle and gracious to one another as they spoke on the beautiful and ugly things that make us who we are. They exposed their fears and desires and how they wish to be remembered in this world. They worked in teams and engaged in a little healthy competition. They laughed and snapped and cheered for one another. By their interactions, you would have thought they were family or–at the very least–long-time friends. I was particularly intrigued by one participant who, post-workshop, talked about how necessary this space has been. He used words like healthy and safe and breathe. He said he hadn’t felt like he’d been able to breathe too much before today. And I thought to myself what it must feel like to have to hold your breath for long periods of time. How stifling. How toxic. How close-to-death it must be. I was both disturbed but thankful. Disturbed that he had to occupy spaces where he felt unwelcome and in some instances silenced. But immediately thankful for the poem. How it conjures a space of healing. Thankful for the conversations around the table. And thankful for his transparency, his journey, his voice, and the community he contributed to. Our exchange, though very brief, reminded me why these spaces are so crucial. Tough conversations, like these, invite criticism and creativity in the room. It gives way to laughter, sometimes tears. And for some of us, makes it a bit easier to breathe. the series. is hosted at Starr Bar, 214 Starr St. Brooklyn, NY 11237, every 3rd Tuesday of the month. Admission varies.